Cortland Crush could not make up an early deficit to the Syracuse Spartans and loose 8-3 on Greg's Field at Beaudry Park in Cortland, New York on Saturday, June 17, 2017. SPECIAL: Season Player USB Drives Available for Cortland Crush Players and Family. Use the CONTACT Link Above to Request More Information. DOWNLOAD FULL RESOLUTION IMAGES: You can now download full resolution photos by selecting the Original Size in the Download Tab after clicking the Buy button. Click the Buy button above the photos to order one or more than one professional photo lab quality prints. (Note: The copyright watermark will NOT appear on the final prints or gift items.) There's a selection of different print sizes, photo gifts and specialty prints like canvas. Leave a comment if you have any questions. Thank you for your interest and let me know how you feel about the item or items you purchased. 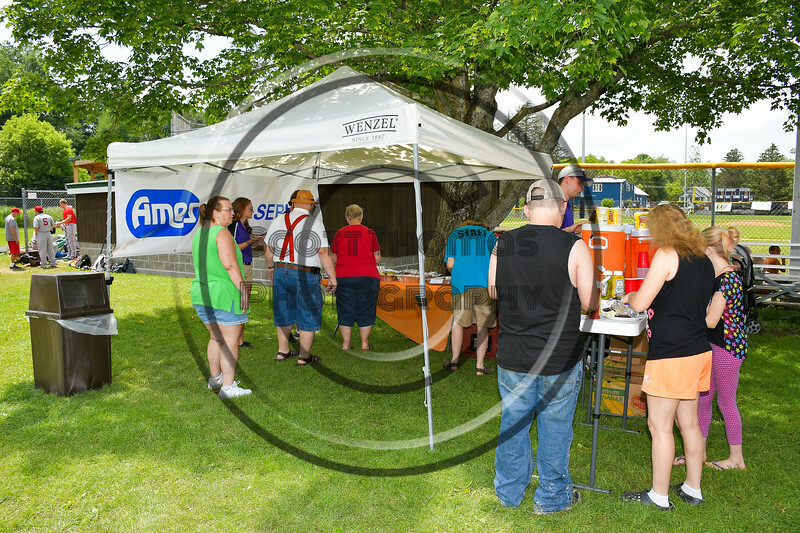 Cortland Crush sponsor Ames Linen Service hosted their employees at Beaudry Park in Cortland, New York on Saturday, June 17, 2017.